Take charge and regain control of incontinence after prostate surgery. If you are experiencing incontinence after prostate surgery, know that you are not alone. Millions of men experience bladder leakage after prostate surgery. 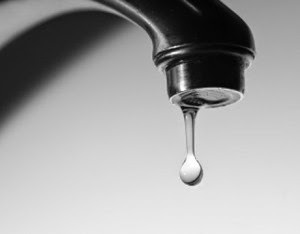 Statistics show 1 in 8 men experience leakage at some point in their life, and 1/3-1/5 of men will experience temporary incontinence after prostate surgery. The prostate gland sits just below the bladder and encircles the urethra at the point where it leaves the bladder. When the prostate gland is removed or receives radiation therapy, damage can occur to the urinary sphincter. Depending on the extent of the damage, temporary or permanent incontinence can result. Talk to your doctor: Dribbles are usually not related to disease or illness, but it is best to find out. It is often just a temporary result of some damage related to the surgery, but it could be stress, being overweight, or related to something like a urinary tract infection. Talking to your doctor can help you take charge of the leak, and find solutions. Exercise: The next way you can take charge of leakage is by exercising your pelvic floor muscles. This can strengthen the muscles that control the urinary sphincter and help correct any damage. Use Absorbent products: And last but not least when taking charge, it is important to stay fresh with the right incontinence products. The right products will be comfortable, provide the protection you need, odor control, and more. For example, Tena for Men is a great option, it has an anatomical design for greater comfort and discretion, and is designed to have a low-profile fit and odor protection. Take time to find the right absorbent products for your needs. “According to Kimberly Clark, makers of Depend and Poise, customers buying incontinence products for the first time waste an average of $130 trying products before finding what they need,” says Wilson. “With dozens of continuously changing names for styles, sizes, absorbency and features, it’s no wonder customers are confused. The CareGiver Partnership helps customers avoid this costly mistake by allowing them to try samples before they buy; customers pay only a minimal shipping cost. 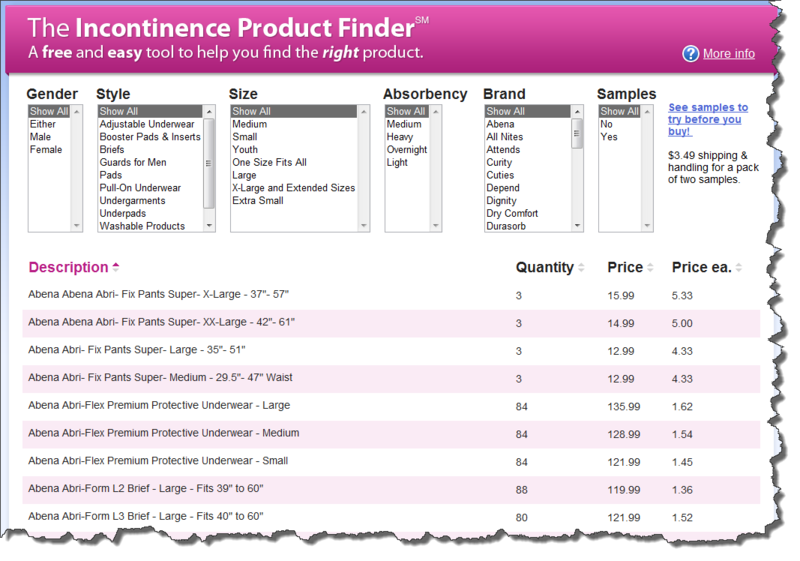 A new free and useful online tool called The Incontinence Product Finder. Using the Incontinence Product Finder, customers easily can sort through more than 650 products in seconds. Products can be narrowed down by gender, size, absorbency, style and brand. By selecting a product on the resulting list, a customer can see features, quantity, price and whether a sample is available without leaving the page. The end result for customers is helping them better determine the best incontinence product choices and reducing their chances of buying products that do not meet their needs. Sort through more than 650 incontinence products in seconds. “As the incontinence product market keeps expanding, more seniors and caregivers than ever before are using this free online tool to help them make better choices and avoid costly waste,” says Lynn Wilson, Founder of The CareGiver Partnership, a national retailer of incontinence supplies and other home health care products. In a category that includes washable undergarments, swimwear, active wear, pullon underwear, adult diapers, briefs and pads, there’s no shortage of available products to meet the needs those with urinary or bowel incontinence. Like all areas of The CareGiver Partnership’s website, this innovative tool is designed with the senior shopper in mind. From the Incontinence page, shoppers can access other user friendly features such as an easy to understand section explaining incontinence product styles, answers to frequently asked questions, and information on how to become a product tester. Those with questions also have free access to The CareGiver Partnership’s team of knowledgeable Product Specialists, all of whom are current or former caregivers themselves. Calls usually are answered by the third ring by real people based in Neenah, Wis. The free customer service number, available Monday through Friday, 9 a.m. to 4 p.m. Central Standard Time, is 18009851353. Take charge of your incontinence after prostate surgery, and find the best products to help you get back to normal as quickly as possible. Prostate Surgery and Incontinence. What to Expect. Is Muscle Damage Causing Your ABL?